RISE is an alliance of professional sports leagues, organizations, athletes, and media networks using sports to promote equality and social progress. At Hollywood Hills High School, just 20 miles north of Miami, a diverse group of athletes from the school’s football team gathers before practice for their weekly RISE Leadership session. The subject matter for this session is stereotypes. The goal is to show student-athletes that they have the power to be leaders in their communities, and that they can create a better world by bringing people together. Life is bigger than football. Miami Dolphins owner Stephen M. Ross founded the Ross Initiative in Sports for Equality (RISE) in 2015. His objective was to establish an educational organization that uses sports to champion equality and improve race relations. 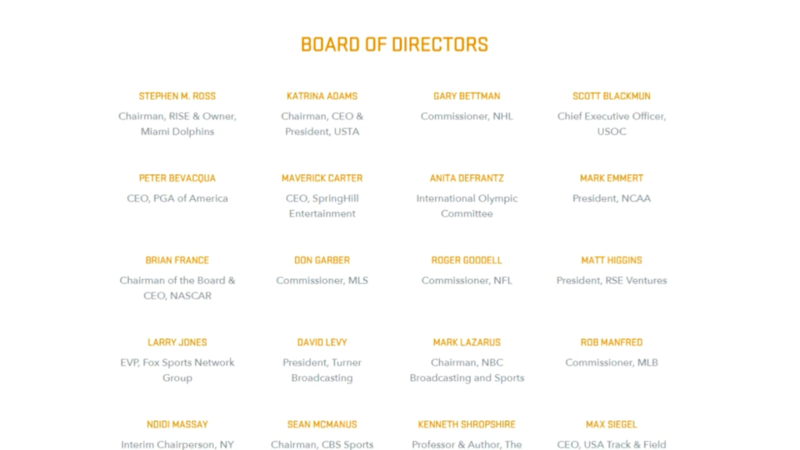 RISE’s board of directors contains commissioners from every major American sports league and biggest names in professional sports management. With this pedigree and across-the-board support, RISE has deployed dozens of programs around the country. The three main initiatives are to educate student athletes, advocate through professional athletes, and engage communities by bringing kids and law enforcement together. RISE also understands that pros can benefit from equality education just as much as student-athletes. An example of this mindset is the RISE to Vote initiative. RISE created this non-partisan effort to help professional athletes make their voices heard in political matters. Rise to Vote not only helps professional athletes register to vote, but encourages them to spread the importance of voting to their fans. Sports is the common denominator in the world today. If there is any place where there is equality, it is in sports. Back at Hollywood Hills, and high schools across the country, the RISE Leadership program is successfully showing student-athletes that life is bigger than sports. After the 10-week RISE Leadership program, 94% of participants said they would intervene if they saw someone being discriminated against. To learn more about RISE, and to take the pledge to show your commitment to sidelining racism, visit RISEtoWin.org.